In Marriage, Family, and the Image of God, I follow Jesus’ lead by going back to the creation account in Genesis to discover core truths about how and why God made marriage and parenthood the way he did. I draw upon personal experiences with my wife and children, upon general insights I have gained over 25 years of marriage and family life, and upon careful examination of relevant biblical passages. 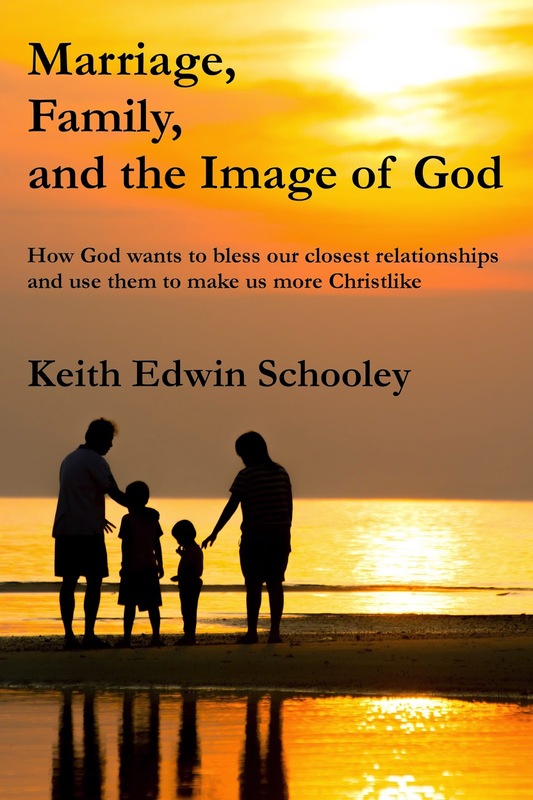 I show how our marriages and families can best be enhanced by allowing God to use them to help conform us to the image of his Son, to reflect God's image better and better throughout our lives. Marriage, Family, and the Image of God is now available for the Apple universe on iTunes, as well as in ePub format at Barnes and Noble, Smashwords, and other online retailers. It's also available for Kindle on Amazon, and as a paperback at CreateSpace, Amazon, Barnes and Noble, and other retailers. In What's Wrong with Outreach, I reexamine what the Bible actually has to say about outreach and evangelism, in the larger context of what the Christian life is supposed to be about and how the body of Christ is supposed to function. What does the Great Commission really entail? How did the church go about its remarkable expansion in the book of Acts? What do the epistles tell us about the duties of ordinary believers regarding outreach? What really is our ultimate goal as believers? What part do spiritual gifts play? What is the relationship between evangelism and discipleship? Why did the early church, and churches under persecution, grow so much more rapidly than churches that are more established and free to reach out? 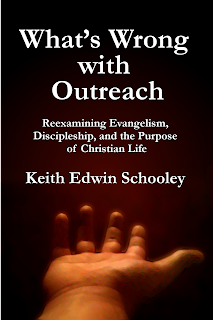 How can we rediscover what part outreach has to play in the larger scheme of what the overall Christian life is supposed to be? I argue that we need to get rid of a message of guilt and shame, in which outreach is something foreign to our normal lives, something we need to "get out of our comfort zones" to engage in, and instead show how the Great Commission encompasses much more than we might have thought, and in which each person plays a role perfectly suited to his or her gifts, talents, and interests. I show how the church tends to unwittingly sabotage its own outreach efforts, and how a focus on discipleship and gifts can help us recover natural and enjoyable ways of making disciples. Available for Kindle at Amazon, for Apple readers at iTunes, for Nook and other ePub readers at Barnes & Noble and Kobo, and in any ebook format at Smashwords. Print edition available at my CreateSpace Page and also at Amazon.